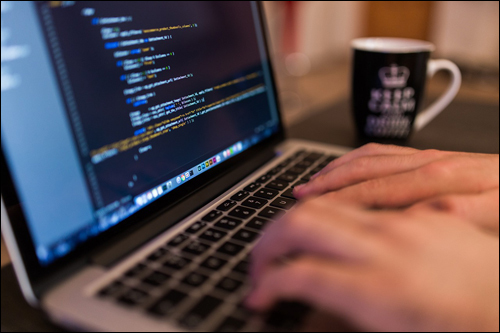 The world wide web, your website, your pages and even your content are all built and driven by code. It is inevitable, then, that at some point, you will probably need something done for your business online, for your website, or in your content that will require having knowledge of code. 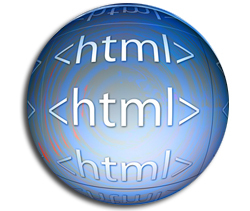 HTML is one of the main “code” languages used throughout the web, web sites, blog pages and also web content. You don’t need to know HTML to use WordPress. 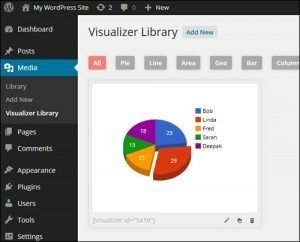 WordPress has unique features like “themes”, “plugins” and “widgets” that let you manage your website without having to touch code, and an easy-to-use, built-in web editor that lets you compose and easily format content just by clicking on a few buttons. In this tutorial you will learn the basic HTML codes you should be familiar with to format content in your pages or posts. You don’t have to know HTML in order to use WordPress, but having a bit of knowledge of HTML is quite useful as a WordPress user! If you are running your own website, having some understanding of HTML can help you save time and money in various ways. You would like to make changes to your existing content, add a text link and an image to a section of your sidebar, or direct visitors to a contact form, newsletter subscription page, etc. If you know basic HTML, you can do this really quickly and easily without having to pay somebody else to do this for you. You outsource work to a web copywriter and get back files containing HTML formatting. Knowing a little bit of HTML will help you proof the work before you accept and pay for the work. Someone creates your articles or web copy. You see a couple of basic mistakes in the text, like a word or phrase that could have been made bold, or a hyperlink that has not been added to your text. Knowing some basic HTML can help you change and fix simple errors in your posts and pages very quickly without having to ask (or pay) a webmaster, a web designer, or someone else to do it for you. You need to discuss new project or requirement with a website development team. Having some knowledge of HTML not only can help you communicate more effectively with web developers and web designers, it can also help you better negotiate projects with web service providers. You don’t need to become a technical web developer – just learn enough basic HTML to be a “web-smart” business owner! Important: Like all things online, HTML is also subject to changes on a regular basis, and sometimes these changes will affect WordPress. Currently, we are in version 5 of the HTML set of standards (also called HTML5), and this change has introduced several new “tags” to keep up with the latest advances in software and web browser technology. As some of the tags used in older and even recent versions of WordPress get dropped from HTML5, you should expect that WordPress will also continue to update its core application to ensure compatibility with industry-wide HTML standards. 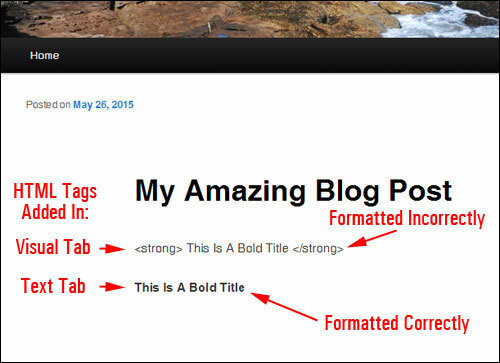 We discuss the WordPress WYSIWYG Editor and how to create pages and posts in other tutorials. b: <strong></strong> Use this HTML tag for strong emphasis of text (i.e. bold). i : <em></em> Use this button to add italics to your text. hyperlink: <a href="http://example.com"></a> choose this menu button to add a hyperlink to any highlighted text. del: <del></del> Use this HTML tag to label text considered deleted from your content. Many web browsers will typically display this as striked-through text. ins: <ins></ins> Use this HTML tag to indicate text considered inserted into the current content. Many browsers typically display this as underlined text. img: src="http://www.yourdomain.com/img/image.jpg" alt="image description" /> Click this menu button to insert an image into your post or page and add an “alt” description (a text description of your image in case the image does not render in your visitor’s screen. Note: you can also use the “Add Media” button (15) to insert images into your content. 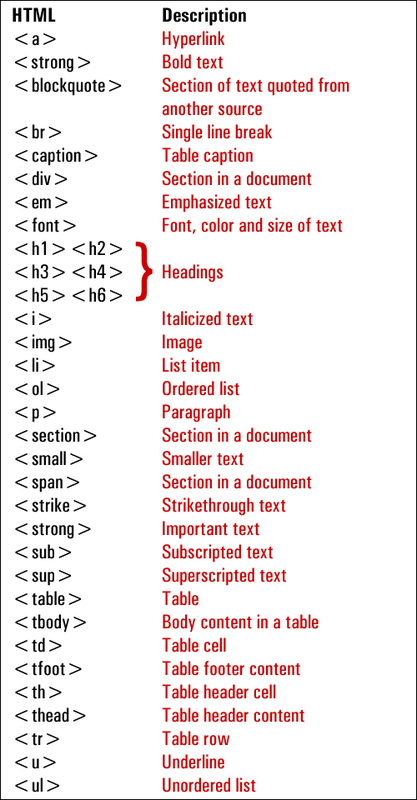 ul: <ul></ul> Use this HTML tag to insert an unordered list into your content. Unordered lists normally display as a list of items preceded by bullets. Note: this HTML tag needs to be used with the <li> tag (see below) in order for bullet lists to work. ol: <ol></ol> Use this HTML tag to insert a numbered list. Items in an ordered list are generally numbered (just like the list you are seeing right now!). Note: this HTML tag needs to be used with the <li> tag (see below) in order for bullet lists to work. li: <li></li> Click this button to insert or turn your selected text into a list item. (This tag should be used in conjunction with the ul or ol tag). code: <code></code> Use this HTML tag to display code (like html tags) in your text. If you don’t use these tags to surround the code you want to display, WordPress will convert your tags and you will get errors (e.g. broken text). Note: content enclosed in the <code> tags normally will display using a pre-formatted styling of text, such as a monospaced font like Courier. (See the “Tips” section below for more details). 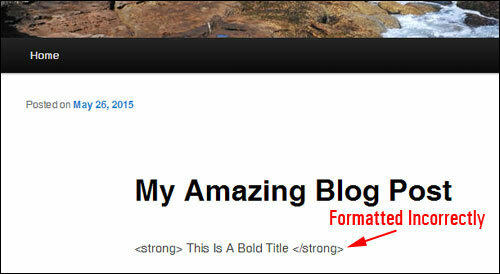 more: <!--more--> This tag will break your blog post into “teaser” and “rest of content” sections. For example, if you add one or two paragraphs, then add the “more” tag and add the remainder of your post content, users will only be able to read the first couple of paragraphs of your post and a hyperlink (e.g. continue reading…), which if clicked on, will then display the rest of your post. Close Tags – Closes any open HTML tags left in your content. Note: proof your content after using this function to make sure that all HTML tags have correctly formatted your text. Distraction-Free Writing Mode – click this button to work in “distraction-free” mode (see screenshot example below). You can toggle between the Visual Editor and Text Editor modes, insert media and hyperlinks and update your content while in “full screen” mode. Click the button again to return to the normal text editor display. Add Media button – Click this button to insert media into your content (e.g. images, videos, audio files). This button displays for both the Visual and Text editors. Click on “Distraction-Free Writing Mode” [#14] and everything but your editor fades away, removing all distractions from your screen. 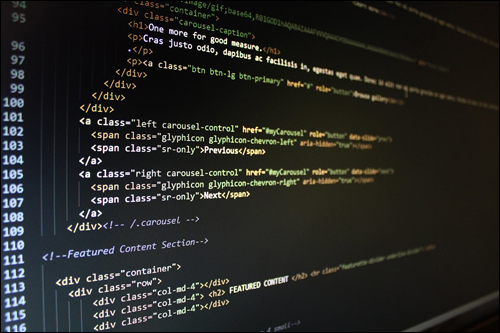 If you plan to use HTML extensively, there are several Free HTML editor software applications that you can download and use when getting started. 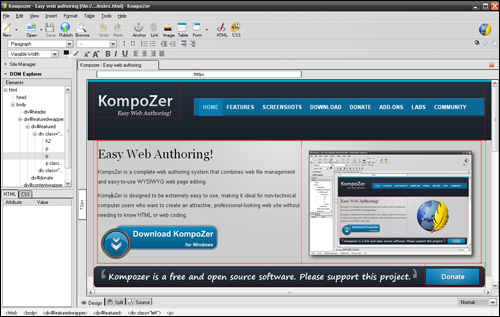 For example, a popular HTML editor software application you can download for free is KompoZer. 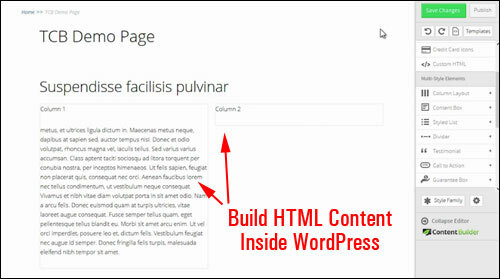 Another option, if you don’t want to mess around with code or use an external HTML content editor, is to use a WordPress plugin that lets you build content inside WordPress itself. If you have no need or desire for doing any kind of work that involves technical coding, but would still like to be able to easily create, insert and format content containing basic HTML tags into areas of your WordPress site other than your posts or pages (e.g. your sidebar, author profile, etc. ), then see the useful tutorial below for a really simple solution that involves spending no extra time downloading software. 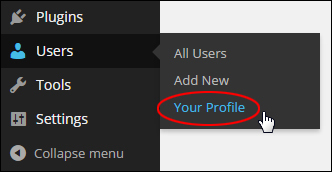 In WordPress, there are certain locations like text “widgets” in your sidebar, or the “About Yourself” section in your User Profile screen that let you add HTML. You can still use the WordPress WYSIWYG editor to create your HTML-formatted text, and then simply paste it into those areas. Let’s go through an example, so you can see how simple this can be. Let’s “paste the content” into this field using the simple method described below. First, create a new post and type your content inside the Visual Editor. Scroll down to the About Yourself section and paste the content from your clipboard into the Biographical Info text box …. 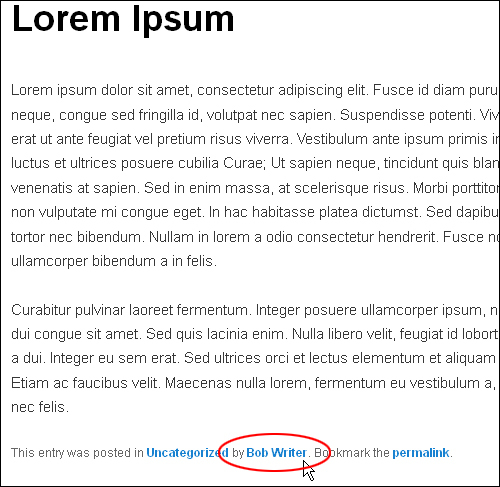 Congratulations … You have just created an author bio for your blog posts and formatted it using basic HTML! As we’ve mentioned a number of times, you don’t have to learn HTML to use WordPress, but it can be useful to have a little basic knowledge of HTML. Tip #2 (Advanced WordPress User): You can enhance the function of your WordPress Text Editor using a number of plugins. 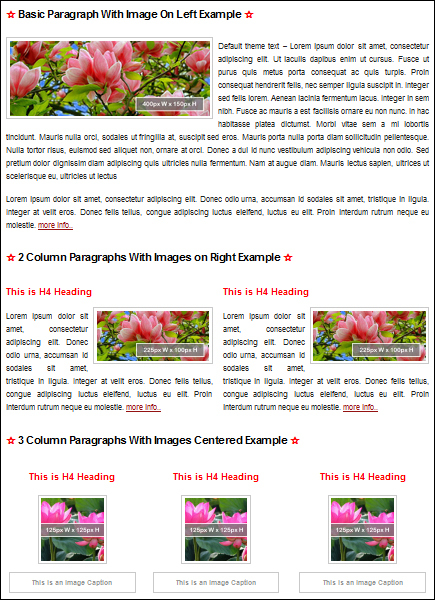 WordPress HTML allows you to add custom HTML to both the post and page body and head sections. 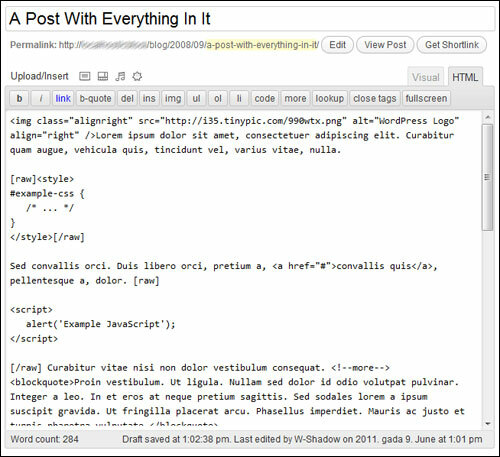 Pasting HTML directly into the WordPress editor can break various elements and corrupt the HTML. 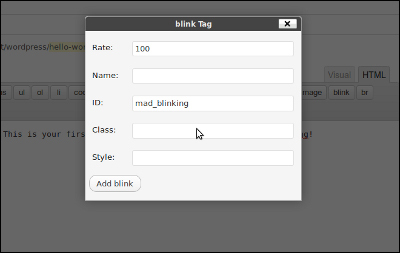 By saving the HTML code in the plugin’s custom fields dialogue boxes, you can output HTML to your post or page. Raw HTML lets you disable automatic formatting like automatic paragraph creation and smart quotes, and use raw HTML/JS/CSS code in your WordPress posts. Tip #3 – Troubleshooting HTML Tag Errors: If your text formatting displays incorrectly after publishing your post or page, make sure that you have entered your HTML tags correctly in the Text Tab, not in the Visual Editor. 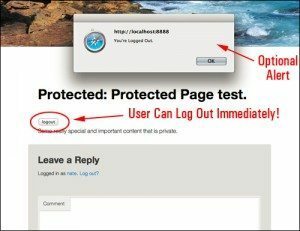 Tip #4 (Advanced WP User): By default, WordPress does not allow a number of HTML tags to be used (e.g. codes such as frame, input and others). This is for security reasons. After disabling the visual editor and saving your new profile settings, return to your post or page and reinsert the content with the problematic HTML tags, then republish your post. If the above suggestion fixes the issue, go back to your User Profile area, reactivate the Visual Editor, and see if the HTML code is still working fine with the visual editor restored. Want more help with WordPress? Feel free to comment below or take a moment to share this article with your friends.